See what patients are saying about us at Fairport Family Dental. I feel as if I met everyone when I came in. Everyone is just so cordial and outgoing. I have never had such a thorough dental exam in my life. Everything was very detailed and thoroughly explained from insurance, to my exam, to the x rays and the cleaning itself; I am so pleased. The hygienist that did the cleaning was just so happy to clean my teeth! So energetic and full of things to talk about. Staff that work here clearly like coming to work and that's a place I want to do business with. I swear I left there feeling like it was going to be a great day! I love them!!!! Everyone is professional and very,VERY friendly. Quality staff and work performed.....ALWAYS!!!! Would not change a thing. Awesome! The staff is courteous, professional, well trained and very friendly. The procedure went extremely well with no discomfort. My new crown looks and feels great. Wonderful experience! Fairport Family Dental is a lovely office with a really GREAT staff - They always make my office visit stress free and are extremenly accomadating - It is actually FUN to go to the dentist! I can't stress this enough, I LOVE going to the dentist now! 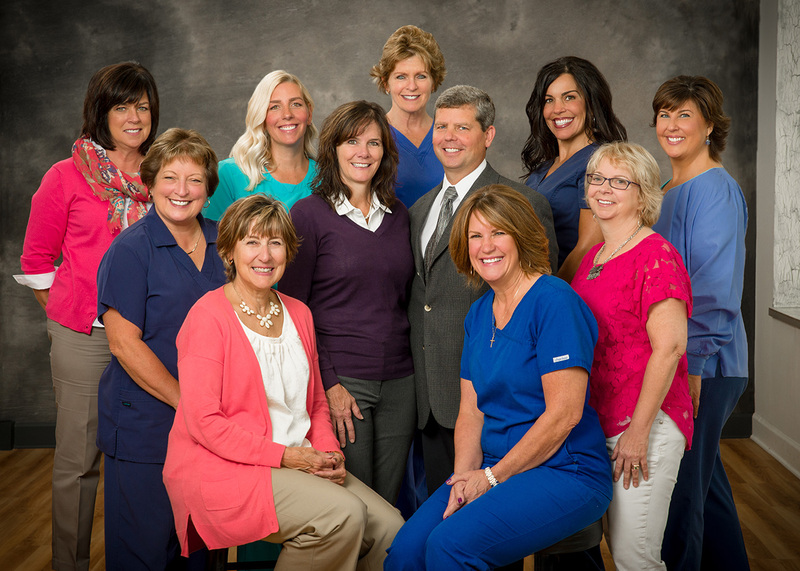 The staff could not be more friendly at Fairport Family Dental. They are skilled and efficient at their jobs but make each person feel welcome and relaxed. I love this office ! Six months cleaning with Sue and exam by Dr. Jeff. As friendly and pleasant an experience as possible considering it was a dental appointment! LOL! No issues or concerns. Everyone was friendly, professional and courteous and clearly answered any questions that I had. The dental hygienist was excellent. It's a pleasure to visit Fairport Family Dental. I have never had anything but a great experience at the office, from beginning to end. Not my favorite thing to do, but I always survive with your kindness and professionalism!!! Great visit - your hygienist does a super job! Sue is the best. Jennifer and Barb are awesome. I missed seeing Stacy. As always a great experience! I greatly appreciate and value the frank discussion of options, prices, timing for procedures; it builds trust to know when something must be done now, or when it may be budgeted for the next appointment. I very much appreciate the ON TIME performance, your respect for the patient's time/schedule is very much appreciated. Top notch staff, warm, friendly receptionists, extremely clean, inviting surroundings; my hygienist expalains procedures thorourghly and does all she can to put me at ease. Excellent team; obviously a lot of thought and organization and personality has gone into creating an inviting and positive atmosphere; impressive! I feel my visit is always is thorough, the personnel is kind and caring and takes time with any concerns I may have as a patient. It's impossible to improve upon perfection!